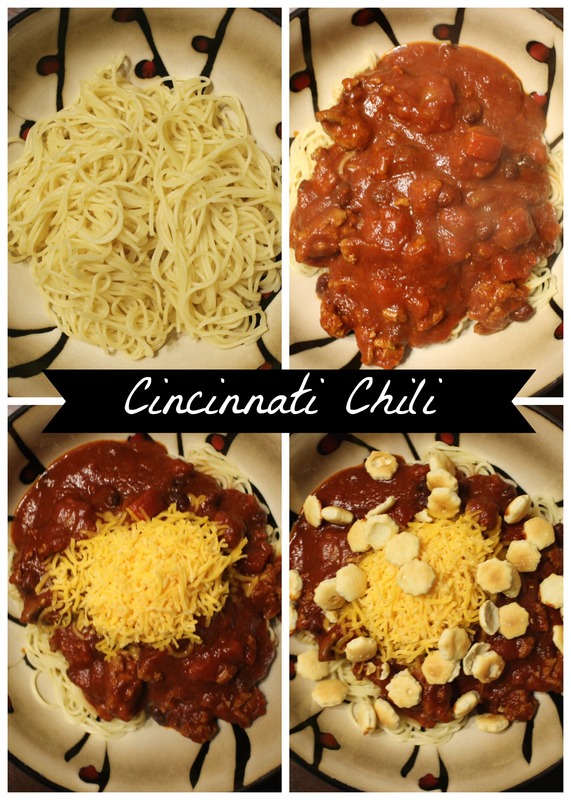 Recipe: Cincinnati Chili | Finding delight. 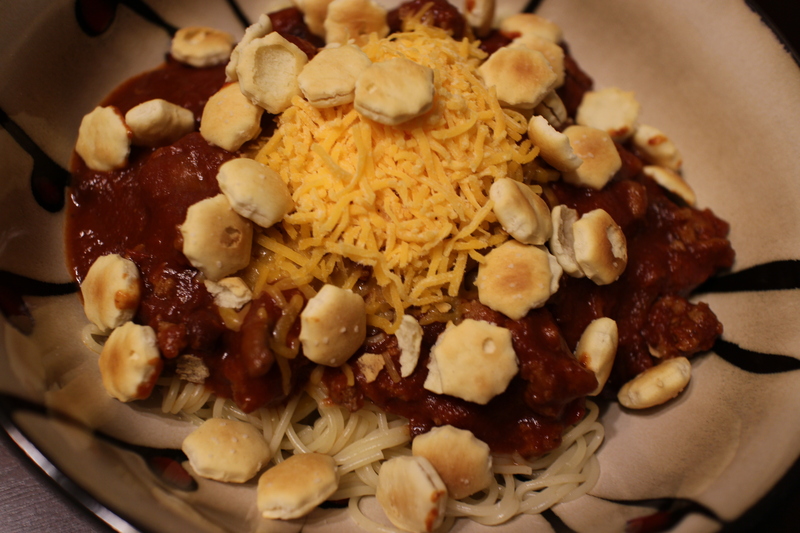 Growing up in Central Kentucky, with two sets of grandparents one state up in Ohio, I learned to love the joys of serving chili with a dash of cinnamon and a plate of slippery spaghetti noodles. I can remember slurping up this beloved regional concoction as a kid, whipped up at home and on family day trips to visit the Cincinnati malls. A few years ago, a Goldstar Chili opened up just blocks away from my mom’s house and our whole family greeted it with open arms. (Even the vegans among us…they’ve got that plant-based hook up at Goldstar, y’all.) In fact, a couple days ago when my mom texted our family group chat to say she didn’t feel like cooking dinner my sister and I BOTH responded she should hit up that Goldstar. But then that got ME craving the stuff…and since I no longer live by any Skylines or Goldstars…I headed to my kitchen instead! – Heat the chopped onion in a pan with some olive oil until the edges start to caramelize. – Add the ground turkey and separate it with a spoon. Cook until browned. – Transfer turkey and onions to a crockpot. Then add all of the remaining ingredients listed above except for the beans. – Cook on low for 7-8 hours or on high for 5-6 hours. – Add a drained can of beans to the crockpot for the last hour of cooking time. – Serve chili over spaghetti or angel hair pasta noodles. Top with shredded cheddar cheese and oyster crackers! What’s your favorite type of chili? SHARE BELOW! I LOVE chili, and this recipe sounds yummy and unique. I craved chili constantly while I was pregnant with my now toddler. I will definitely be saving this one! It’s definitely unique — with a few unexpected ingredients! Thanks for stopping by.